The Information filled in this Questionnaire will be kept confidential. 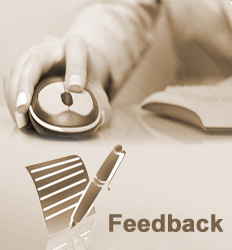 The Feedback will directly reach to MD of Company and Data will be available to him only. You are requested to give your frank opinion on the below Questions. Shed No. 9, S.No.1, behind Hotel Saurabh, katraj-mumbai road, Ambegaon Bk. Pune - 411046, Maharashtra, India. taluka Bhor, Pune - 412205, Maharashtra, India.